NextWhat’s in a Name? How to Name Your App Startup? Today every person whether from a technical background or not is aware of Artificial Intelligence. It has been a hot topic of discussion for a few years now. It would not be a mistake to state that Artificial Intelligence is everywhere on this globe & impacting day-to-day life in a positive way. Artificial Intelligence is changing the way humans are interacting with devices in the contemporary world. This is the reason why every software development company is focusing on artificial intelligence. 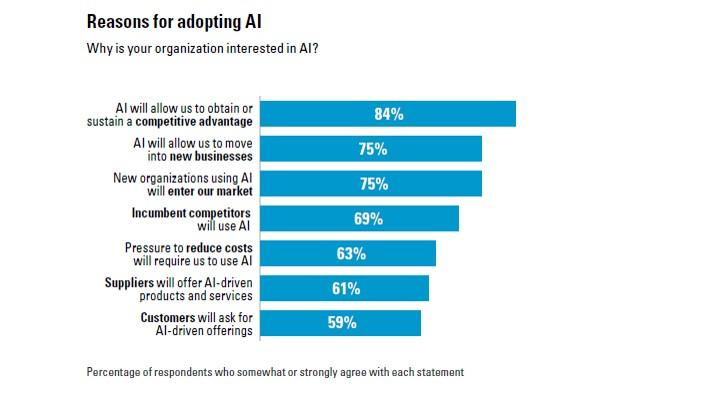 In a review study by Boston Consulting Group and MIT Sloan Management, it was found out that 84% of respondents say that Artificial Intelligence will enable them to obtain or sustain a competitive advantage over other software development companies. It is true that this technology has been welcomed over the years by many enterprises in web development as well as other sectors with open arms. There are some challenges also to adopt this technology. For example, the huge costs involved in its projects restrains software development companies to plan a full-fledged strategic idea about it. Here is an image of the findings of the same study which shows that not many companies have invested in artificial technology. 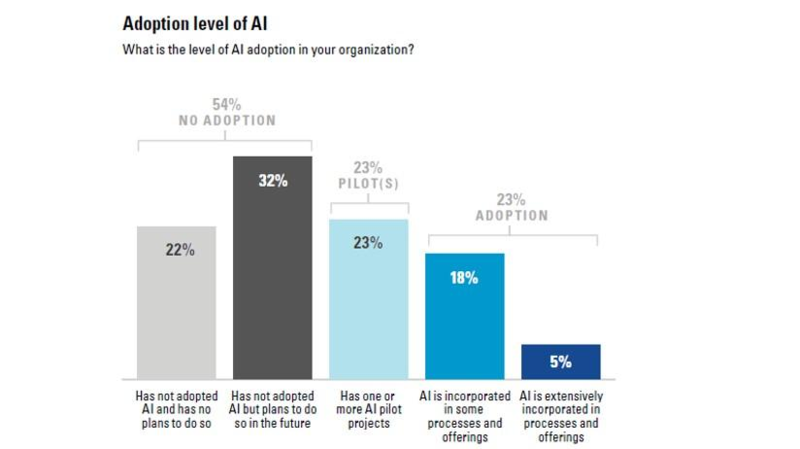 According to the above graphical representation, maximum companies have not adopted artificial intelligence projects yet. Only 5% have extensively incorporated in processes and offerings. The huge cost encourages only the web development companies with well-planned strategies to introduce software that can think with the same intelligence as humans. Software developers are working to provide optimum comfort in humans’ life. The contemporary age is the time when we carry a supercomputer in our pockets as a mobile device. The companies involved in mobile development are using brilliant innovations to incorporate artificial intelligence. The maximum support of this new technology in mobile application development is important to revolutionize the whole society. This is because today we are all carrying a smartphone in our hands. Below is a graphical representation of research done by Statista. 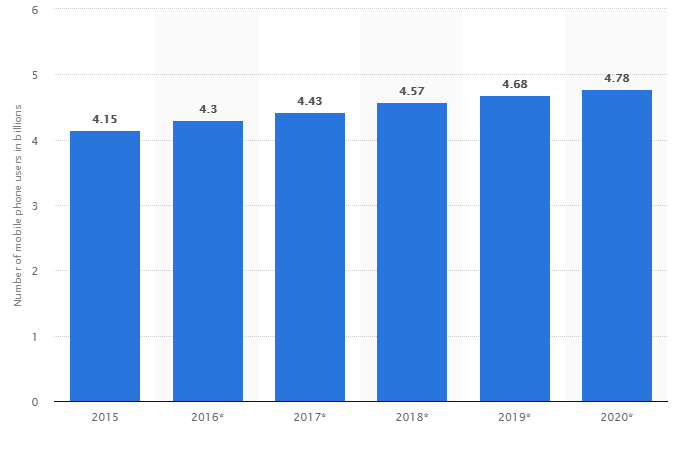 It shows an estimation that the number of mobile users will reach to 4.78 billion by 2020. This is a huge number which motivates mobile app developers to inculcate AI in their idea to deliver maximum output. Does your camera detect your face while capturing a picture? Probably, yes! It even blurs the things that are out of focus. Have you ever wondered how does it do this? It is possible because android app developers are constantly doing research and development. We have come to an age when smartphones have such a camera installed that has sensors working to detect the object that has to be highlighted. There are various beauty and filter applications as well that works on your phone in a similar manner. The image below shows how AI helps the cameras in smartphones to detect the object of focus brilliantly. Have you ever used apps like IKEA, SnapChat, google translate? These apps allow customers to have a glimpse of after purchase experience. They are using artificial intelligence to detect foods, landscapes, faces etc. Gone are those days when we had to purchase separate wearables to track our fitness. In the contemporary digitalized age, mobile application development companies have introduced specific apps for this purpose. 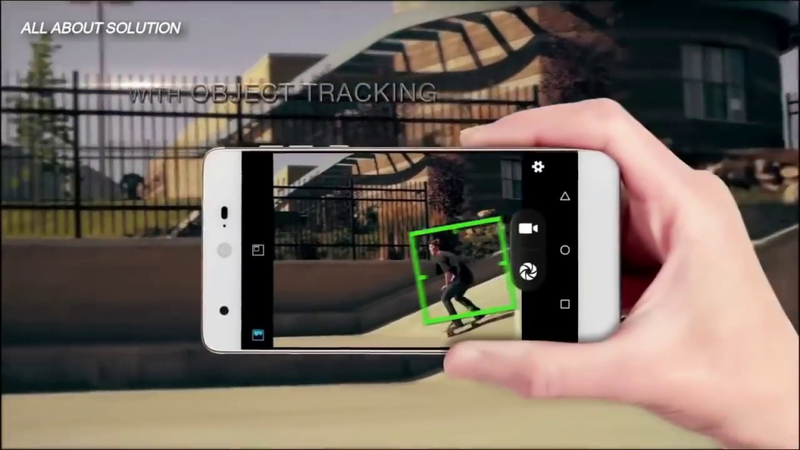 These apps work by sensing the motion of your smartphone along with you. This helps them in detecting the number of steps you have taken. They can be termed as accelerometers that track your acceleration. 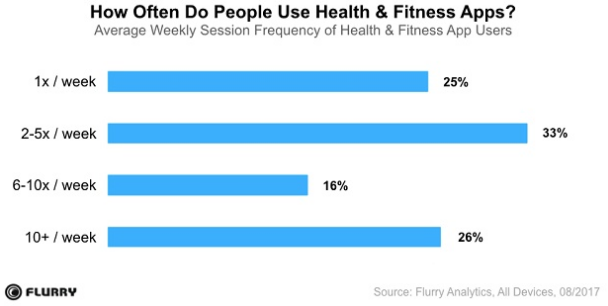 Below is an image that shows the findings by research on the usage of fitness apps worldwide. These apps are mostly depended on the working of accelerometers and show the popularity of this technology. There are various other features like microscopic crystal structures that can be used while driving. Moreover, they can be used for detecting earthquakes, vibrations etc. These applications have taken the mobile technology to another level. The gyroscope in mobile phones works hand in hand with the accelerometer. It is an additional sensor that works on earth’s gravity. It detects the tilts, twists, and turns. It is added by software development companies to measure the angular rotational velocity. Gaming interests all age groups, we are sure you must have played too! Have you ever wondered how your phone detects your tilts while playing a racing game? While you tilt your screen to steer, it is the gyroscope which detects that movement. Here comes a smarter way to authenticate your identity. The new feature introduced in smartphones is a step towards making mobiles more smarter. By just looking at your face, your phone will be unlocked. This technique is marvelous as it records even the facial movements while carrying on the detection process. The face IDs have evolved in recent years remarkably. Today, devices have come that accurately captures your face. 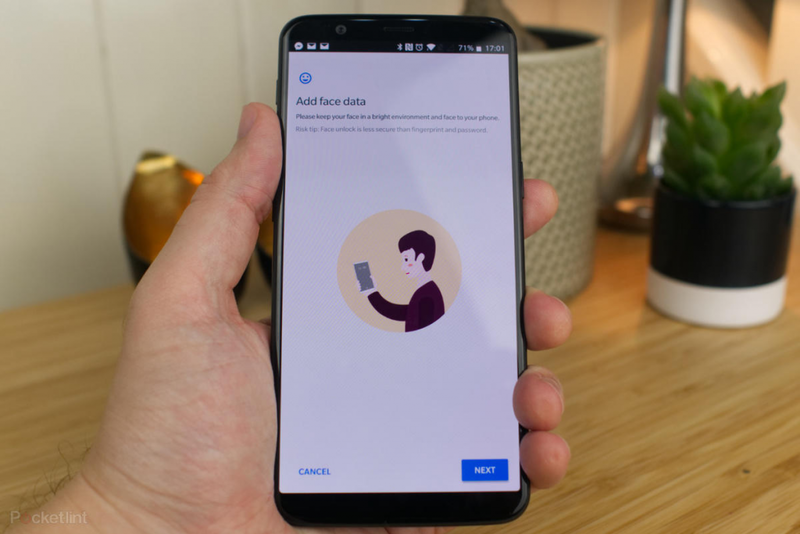 It has been added by several mobile developers worldwide in the latest mobile phones that are introduced in the market. Although, the fingerprints unlocking system still remains the most popular and trusted one. The effects of artificial intelligence discussed above are just a glimpse that could be covered in this post. There are various other features that have been introduced by web developing companies in the new generation of mobile phones. It will not be an understatement to say that artificial intelligence has introduced some drastic changes in mobile application development. 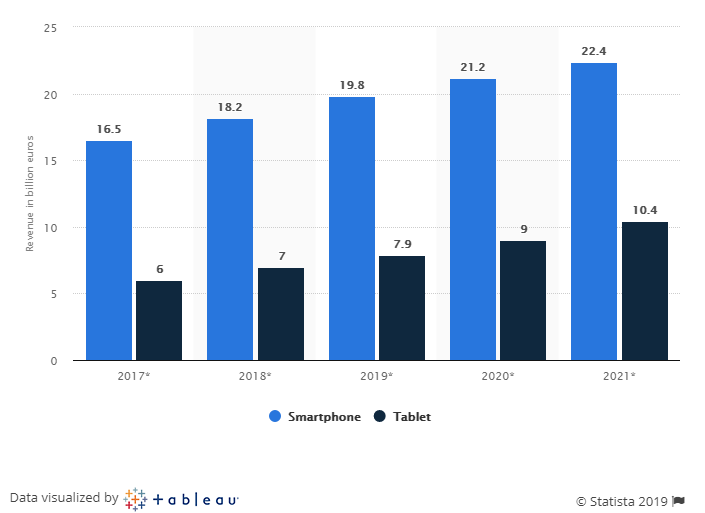 The added features have changed the smartphones usage to a great extent.